USA Cycling works with race directors from across the country to create various calendars and series that feature bike racing across several disciplines and ability levels. Inclusion on these calendars often includes event support, rankings tabulation and additional promotion. Visit our National Championship Bid Process page to learn more about bidding on national championships. Below you'll find information about our calendars and how to bid on individual calendar. The USA Cycling Pro Road Tour (PRT) showcases the premier domestic road calendar events in the U.S., including criteriums, road races, stage races and omniums. Over six months and spanning from coast to coast, the PRT will include overall individual and team rankings for men and women, crowning PRT Champions following the 21-event calendar. The Pro Road Tour features the nation's top road race events and is open to both professional and amateur cyclists. The purpose of USA Cycling's American Road Calendar (ARC) is to recognize top domestic events and provide them with the opportunity to achieve UCI recognition. Those races that seek UCI inscription and inclusion on the Pro Road Tour (PRT) must first be part of the ARC for at least one year. The USA Cycling Junior Development Race Series (JDRS) consolidates the different calendars of events that highlight quality racing opportunities for young cyclists. In 2017, the JDRS will include the Road Development Race Series (RDRS) and the Mountain Bike Development Race Series (MDRS), with a cyclocross series in development. The Pro MTB Cross-Country Tour (Pro XCT) offers cross-country Olympic-style (XCO) and short-track cross-country (STXC) racing. All the events this year are UCI-sanctioned, allowing elite riders the opportunity to earn valuable UCI ranking points. Pro teams registered as either a UCI trade team or USA Cycling domestic pro MTB team are also eligible for professional team rankings. The Pro MTB Gravity Tour (Pro GRT) offers downhill (DH) racing. Individual rider rankings will be offered for the Pro category. The gated events, such as dual slalom and four-cross (4X), may also be offered at some of the seven stops on the 2017 Pro GRT. 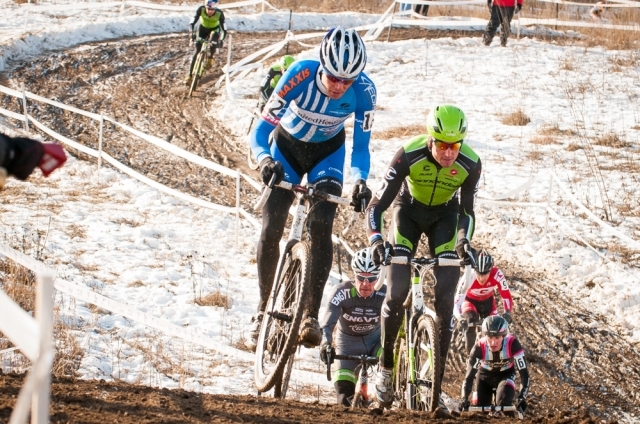 Series points are given to top finishers at each event and used to determine the individual men’s and women’s standings that rank the best downhillers competing in the U.S. Created in 2012 to feature the country's preeminent velodromes, the USA Cycling National Track Calendar (NTC) recognizes the best track cyclists in the U.S. The calendar employs a season-long rankings system where points are awarded to the top ten finishers in four sprint events (match sprint, keirin, team sprint, and time trial) and five endurance events (points race, scratch race, individual pursuit, team pursuit, and Madison). At the end of the calendar, a male and female winner are named for both the sprint and endurance categories.